Campus Ministry once again hosted a fall retreat for students to escape their studies and stresses in order to relax, have fun and focus on their relationship with Christ. 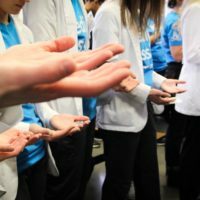 Students took part in games, a service project and prayer. The retreat was held Friday, Sept. 29, to Sunday, Oct. 1, at Camp Tawakoni near Andover. Fifteen students attended the retreat this year, including all six student ministers. They were joined by Newman University Chaplain Father John Fogliasso. 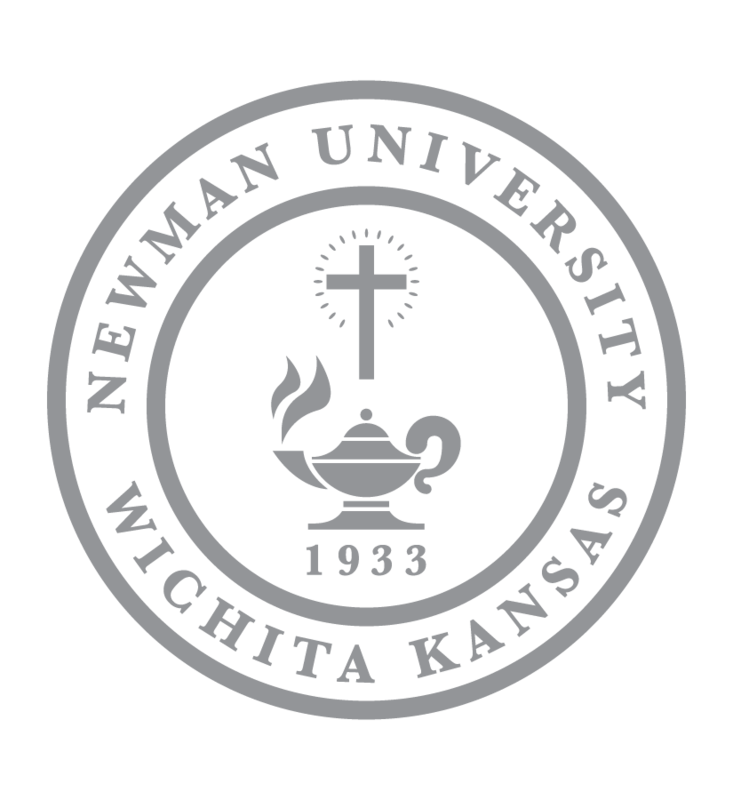 Student minister Peggy (Victoria) Frazier acted as the service retreat coordinator and scheduled the Newman team to participate in a Numana food packing event during the retreat. The Numana event was hosted at Risen Savior Lutheran Church on Saturday during the retreat. 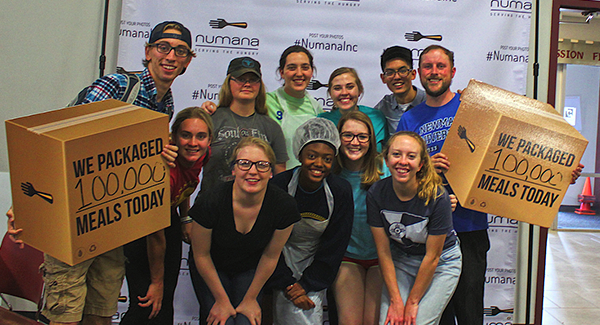 The Numana organization was founded in El Dorado, Kansas, and volunteers across the United States have packed 27 million meals for the hungry through the organization. 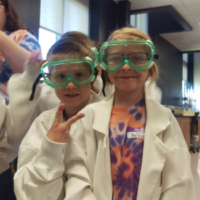 “We were packaging dried rice, soy and beans for people in Haiti. Once water is added to the contents of the bag, it makes an entire meal. The atmosphere during the event was upbeat and inspiring,” said Frazier. 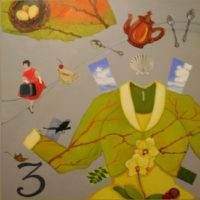 The event became a competition between each team’s table. The goal for the day was to package 100,000 meals and a highlight for the students and Father Fogliasso was the announcement that they had reached their goal. 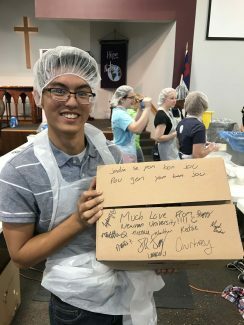 Seminarian Matthew Nguyen holds a box for the packaged meals. 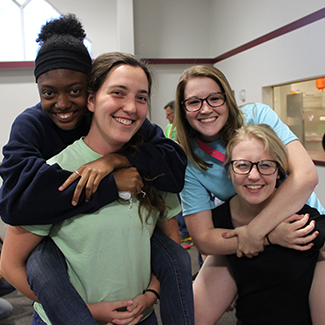 Along with the service project, students enjoyed board games, bonfires and opportunities to build a stronger connection with God during the retreat. They had opportunities to attend Mass, confession, Lectio Divina and had ample time for prayer.